The long-anticipated “Kingdom Hearts III” is finally here, and it’s both a joyously fun game and a bizarrely designed nightmare. It both taps into one's deep love for the Disney canon like no other game before and made me scream at some of its gameplay decisions. It’s a game I couldn’t stop playing for days on end, and yet I kept waiting for it to truly wow me like it feels like it could have with just a little more love and care. It’s like spending a few days in Disney World in Orlando – you’ll have some really fun memories and you’ll also be just exhausted and ready to go home. OK, this is going to get a little complicated. 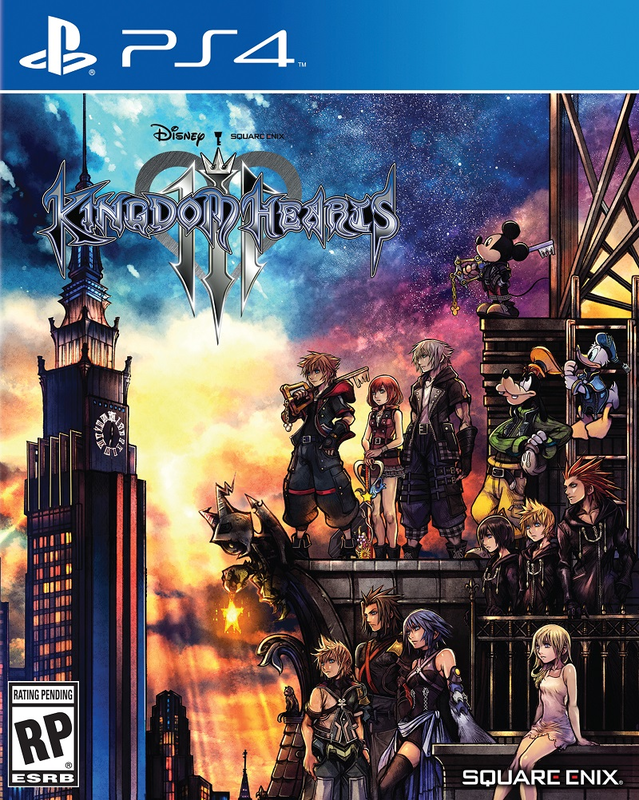 While that’s a three in the title, this is technically the twelfth “Kingdom Hearts” game and includes story elements from the releases between 2006’s smash hit “Kingdom Hearts II” and the numerous spin-offs and side games released since then. It takes place directly after the action of 2012’s DS game “Kingdom Hearts 3D: Dream Drop Distance.” The easy shorthand for the “Kingdom Hearts” world is “'Final Fantasy' with Disney characters.” You explore a fantasy-driven landscape with a protagonist who looks like a “FF” leading man, but you also happen to have Goofy and Donald Duck in your combat party. And the story this time takes you to several worlds inspired by other Disney/Pixar hits. Here’s where this video game critic traditionally tells you what a game is about. Despite an exorbitant number of lengthy cut scenes, I can’t really adequately capture the “Kingdom Hearts III” narrative in a traditional plot paragraph. It’s built on years of mythology and features a hero named Sora, a villain named Master Xenahort, and even, wait for it, a good guy named Master Yen Sid (Disney spelled backwards). There’s something about Keyblades and hearts and the power of waking and it just becomes numbing for someone not already entrenched in this mythology. What most people, especially those reading a video game review at a movie review website, are going to care about is the Disney connection. Not only do you travel with fighting Goofy and Donald, but you go to worlds inspired by films from multiple eras of the Disney canon. What could be considered the tutorial stage unfolds in Olympus, complete with characters pulled from “Hercules,” including the titular hero, massive titans, and villainous Hades. Before you know it, you’re fighting alongside Buzz & Woody from “Toy Story” and then Flynn & Rapunzel from “Tangled.” And the gameplay cleverly incorporates the Disney characters int the actual combat. For example, if you’re in the “Toy Story” world, you’ll be able to initiate an attack in which you ride a toy rocket with Buzz and Woody into your enemy. In the Kingdom of Corona from “Tangled,” Rapunzel’s hair becomes part of an attack. The combat gameplay and the way it incorporates beloved characters is consistently changing in fun, unexpected ways. There are even moves you can learn that are based on rides from Disney World. I smiled every time I used the Mad Tea Cups to take out enemies. 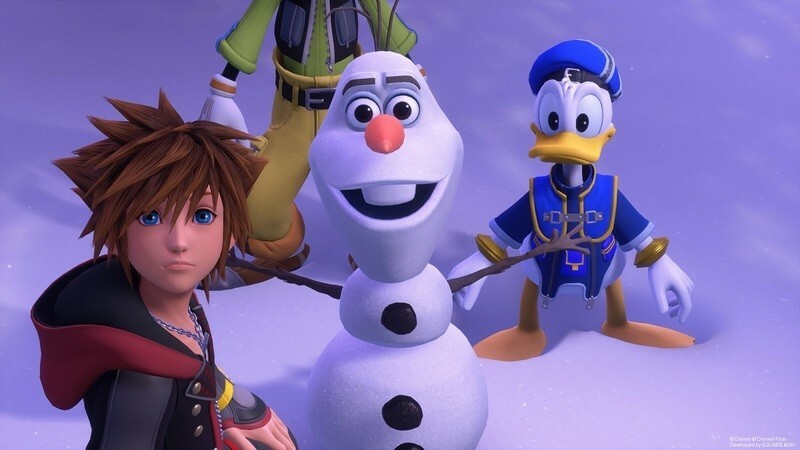 Other worlds you’ll visit in “Kingdom Hearts III” include ones based on “Frozen,” “Monsters, Inc.,” “Pirates of the Caribbean,” and “Big Hero 6,” and here’s where one starts to long for what could have been, with regards to design. Most of these worlds were clearly chosen for the variety of gameplay they would provide in terms of environments. For example, you slide on a lot of snow in Arendelle from “Frozen” and you swim a lot in the one with Jack Sparrow. But the actual world design is lackluster. Arendelle is merely section after section of snowy mountains. Monstropolis is a cut-rate metal level as you explore a nondescript factory. The levels should be as engaging as the production design in the Disney movies that inspire them, but they’re just not. The game often springs to life in truly charming visual ways but then it sinks back into endless waves of reused backgrounds. I wanted the same vibrancy from the level design that I got from other elements of the game. While I love the mash-up idea of basically spinning through the entire Disney canon in a way that can put Goofy and Buzz Lightyear on the screen at the same time, just tapping that nostalgic vein isn’t enough to overcome the repetitive gameplay and lackluster level design. When the game does give you more, such as in its always-changing combat, it almost reminds you more of how boring it can be for large chunks. Why can’t it all be as fun as the Mad Tea Cups? 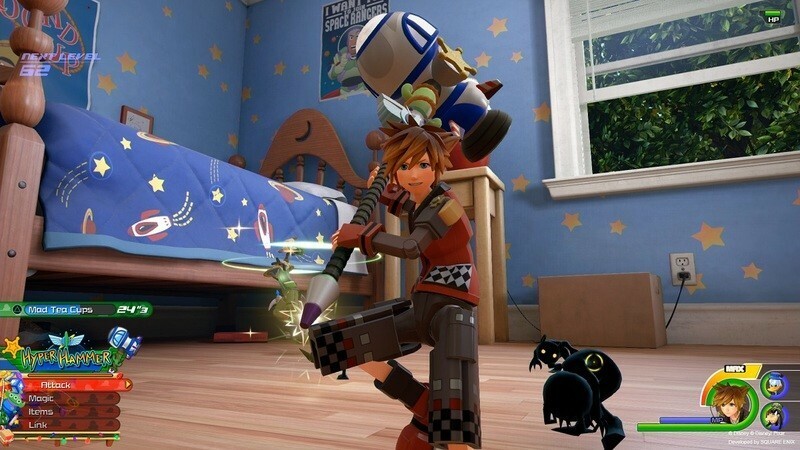 “Kingdom Hearts III” also references other Disney characters, allowing you to cook with Remy from “Ratatouille” and unleash an awesome attack that includes Simba from “The Lion King” (two things I enjoyed every single time). It's clear though that the timeline of the game's production required it to stop letting in new characters right around “Frozen,” and that you’ll have to wait for a sequel to explore “Zootopia” or the islands of “Moana.” Despite my misgivings about some elements of this release, I'll totally be there for the next one. Let’s hope we don't have to wait so long.